Find your Tustin Dentist of choice at the Art of Dentistry Institute. We welcome any and all who would love to have the perfect smile but are not sure who they can entrust this matter to. With the Art of Dentistry Institute, rest assured that we can meet your high standards. Whether you specifically need a Tustin dentist or are traveling from out of the area, the Art of Dentistry Institute will help you get the smile you deserve. Our dental offerings cover the full range of general and cosmetic needs, and we have the added advantage of performing them with a high degree of care and dedication to your complete comfort. We would love to meet you and discover how we can help you. The Art of Dentistry Institute is proud to serve the Irvine and Orange County area with a comprehensive list of general dentistry and cosmetic dentistry services. From teeth whitening and dental implants to whole smile makeovers, our services can help restore and improve the smiles of our clients. General dentistry services can help you achieve more than just a perfect smile. Dental crowns and bridges can restore your smile and even help you eat normally again. Complete and partial dentures are also offered, which help to return your smile to a natural-looking appearance. 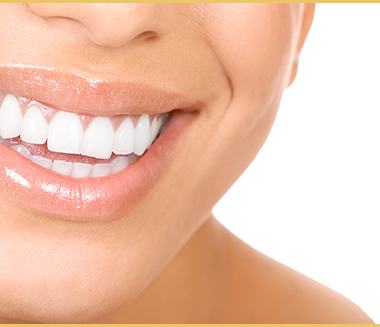 Cosmetic dentistry services allow anyone to transform their smile to achieve an ideal appearance. If you are searching for a dentist in Tustin, CA to provide an entire smile makeover, we at the Art of Dentistry Institute will be happy to serve you. Dr. Emil Hawary founded the Art of Dentistry Institute with the goal of helping people realize their dreams of having a perfect smile. Dr. Hawary’s passion and enthusiasm to his craft have led to him achieving Accredited Fellow status with the American Academy of Cosmetic Dentistry (AACD), a feat only 59 other individuals in the world can claim. He has performed many smile makeovers over the years, which have awarded him with numerous gold medals from the AACD for taking top spots in their Smile Gallery competitions. View his work on our own Smile Gallery, and see how your own smile can be transformed. The Art of Dentistry Institute can be your source for a top dentist in Tustin. Our range of services, combined with our drive toward providing you with a comfortable experience at every step, offers you the chance to have the perfect smile.